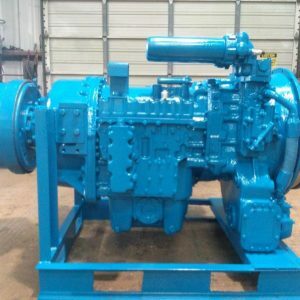 Copeland Allison 4460 Series Transmission is one of the staple points in the oilfield when it comes to Drilling Rigs, Workover Rigs, Pressure Pumping, Fracturing, Well Pumps, Well Service Pumps, Custom Applications, and Well Servicing industries With 5 speed manual hydraulic valve body availability of transmission retarder feature, lockup feature (1:1, converter not being used), multiple Torque Converter ratios including TC450, TC470, TC490, TC498, TC499, TC497, Transmission PTO pads on Top and Side. 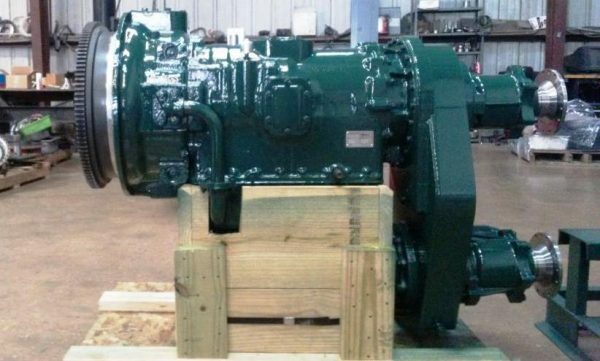 All Allison Transmissions Rebuilt, Refurbished, or Remanufactured by Copeland International are done so to the highest quality, ensuring that each unit will always have all new; seal and gasket kit, clutch plates, bearings, thrust washers, solenoids (where applicable) and sensors (where applicable). All hard parts (gears, shafts, planetary assemblies, carriers, converter section, drums, pistons, etc.) and main housings are meticulously inspected to ensure they meet factory wear limits and when replaced we use only the highest quality replacement parts. All Replacement parts meet or exceed OEM specifications (all part numbers, assembly numbers and model numbers are used for reference only). All Transmissions will have the most recent updates, High Cap or High Capacity Converter Pump in addition to drilled top disconnect for lube. Following rebuild completion each transmission is thoroughly Dyno tested with our state of the art Mustang Dyno powered by a Detroit Diesel 475 HP Series 60 Motor. With our specifically designed setup we are able to apply loads to the transmission simulating real world loads (Transmission Working Over a Well, Pumping Fluid down a hole, drilling a well, power units or power packages) to ensure proper operation when installed Our trained Dyno operators are able to test each unit for 4-6 hours (depending on transmission model) constantly monitoring pressures of main, splitter, lockup, converter and other vital information to qualify this as a Copeland Rebuilt Allison Transmission (Copeland Transmission). 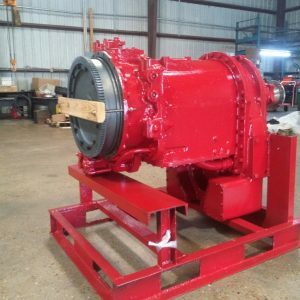 The process is finalized by Painting the unit to the customers desired paint color (depending on your service company we understand you wear your team colors proud!, let us make sure it’s ready to match the fleet, just specify the color request to your sales person) packaged on a steel shipping skid, includes converter mounting gaskets, warranty paperwork, outfitted with a tag which supply’s the pertinent unit information (serial number, assembly number, unit number, work order number) making future service simple identifying your specific assembly information. Product brochures, Service Manuals, Parts Manuals, Drawings and Additional product information is available upon request). Experience the Copeland International difference, we have Drop Box CLT4460 transmissions in stock on the shelf, ready to ship! 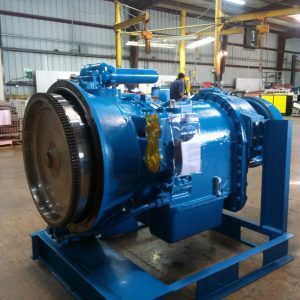 Contact our experienced sales staff who can help you decide which transmission is right for your specific application. All Outright and Exchange Allison Transmissions supplied by Copeland International are done the same way every time.